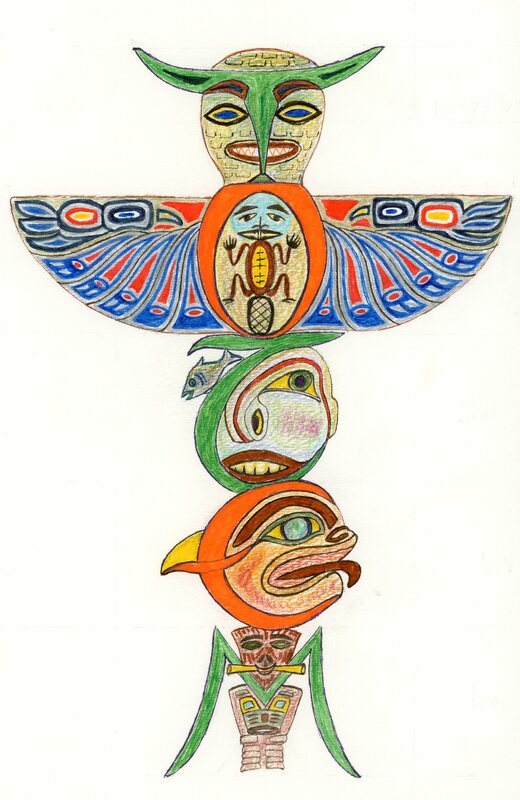 Earlier this summer I had a mental image of a totem pole with different creatures that features the letters of the word as a totem pole. I don’t vouch for it being in any way authentic tribally, but has meaning to me. Totem design by Meredith Eliassen, 2015.